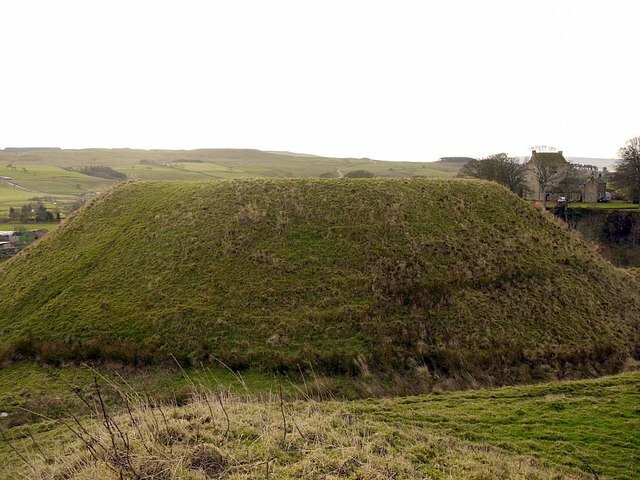 Mote Hills at the village of Elsdon are the earthwork remains of a medieval motte and bailey castle. The castle was built on the natural spur of a hill in the 11th century by Robert de Umfraville. It was one of several motte and bailey castles built after the Norman Conquest. The site is a Scheduled Ancient Monument. Elsdon Castle is a castle in the village of Elsdon about 10 miles (16 km) to the southwest of Rothbury, in Northumberland, England, and also known as Mote Hills. 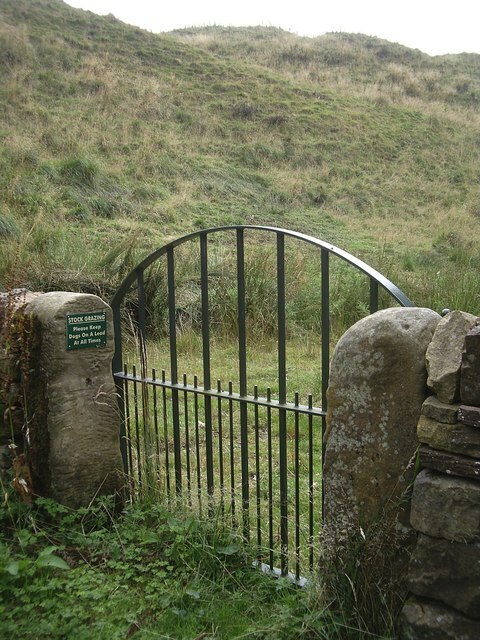 The site is a Scheduled Ancient Monument. 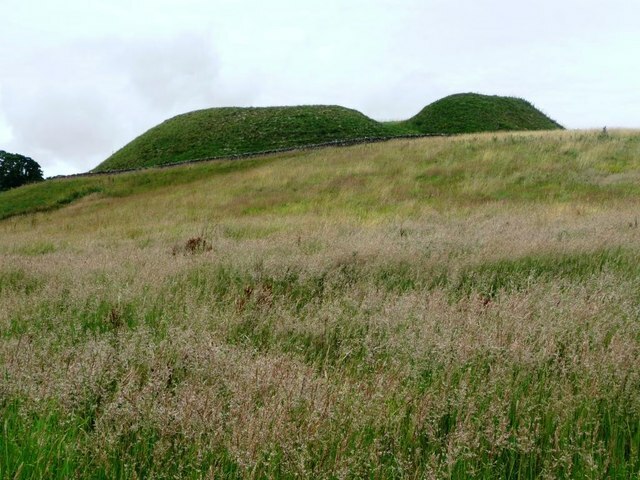 It is the best preserved medieval motte and bailey castle site in Northumberland. It was built by Robert de Umfraville, not long after the Norman Conquest and stands on a natural spur of a hill. 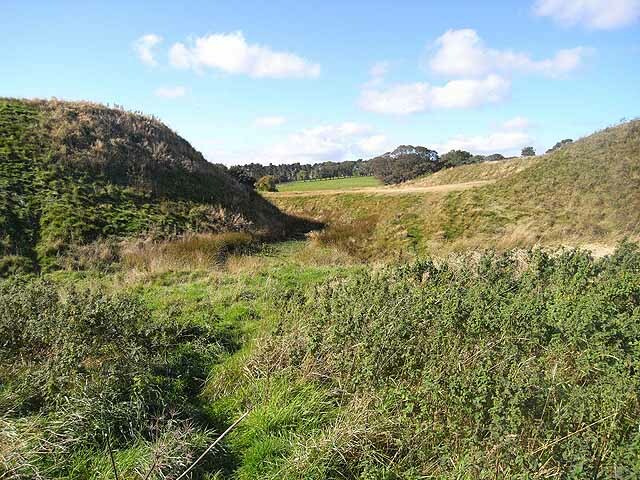 Impressive earthworks remain, which are open to the public without charge. 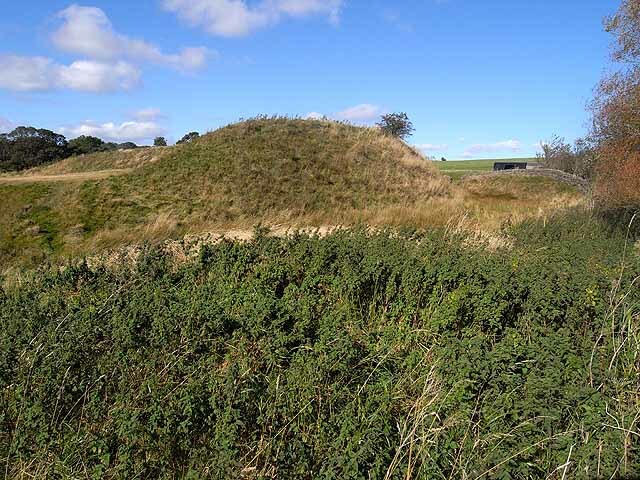 The site consists of a tall mound or motte to the south, with an embanked kidney-shaped bailey to the north. A presumed wooden bridge between the two no longer exists. A notice-board to the east shows an illustrated reconstruction of the castle. Elsdon Castle is thought to have been abandoned after it was superseded by the nearby Harbottle Castle. Legend has gathered around the castle. According to one tale a Danish giant lived on the hill and terrorised the neighbourhood. It is tempting to rationalise this as a memory of Siward the Dane, earl of Northumberland in the reign of Edward the Confessor. Elsdon Tower is nearby: a pele tower dating from the late 14th or early 15th century, which may also have been built by the de Umfravilles, though for six hundred years it was the Elsdon Rectory. Text from Wikipedia, available under the Creative Commons Attribution-ShareAlike License (accessed: 26/10/2018). Visit the page: Elsdon Castle for references and further details. You can contribute to this article on Wikipedia.